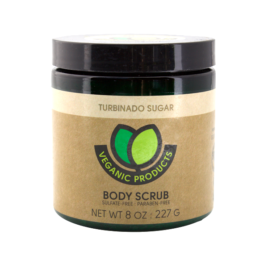 Exfoliate your skin while leaving it feeling fresh, smooth, moisturized and soft. 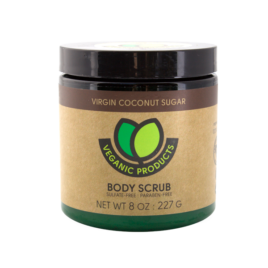 Our scrubs use natural exfoliants and botanicals that feel and smell deluxious! Net. Wt. 8 OZ./227 G Contains Turbinado Sugar, Sweet Almond Oil, Apricot Kernel Oil, vitamin E, Organic Jojoba Seed Oil, Organic Aloe Leaf Oil, Rosemary Leaf Extract, and Neem Seed Oil.